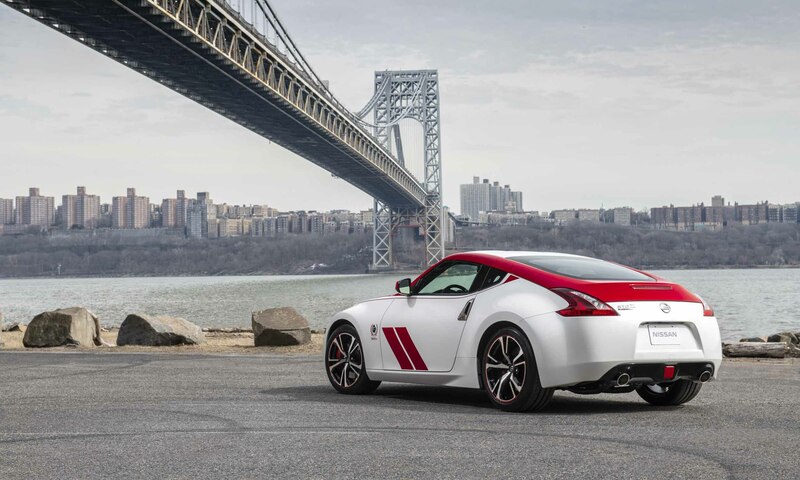 Nissan got a jump on the competition by debuting the 2020 Nissan 370Z 50th Anniversary Edition ahead of Press Days at the 2019 New York Auto Show. The special edition commemorates the 50th anniversary of the original 1970 Datsun 240Z, with exterior and interior details that recognize the legacy of that historic sports car. 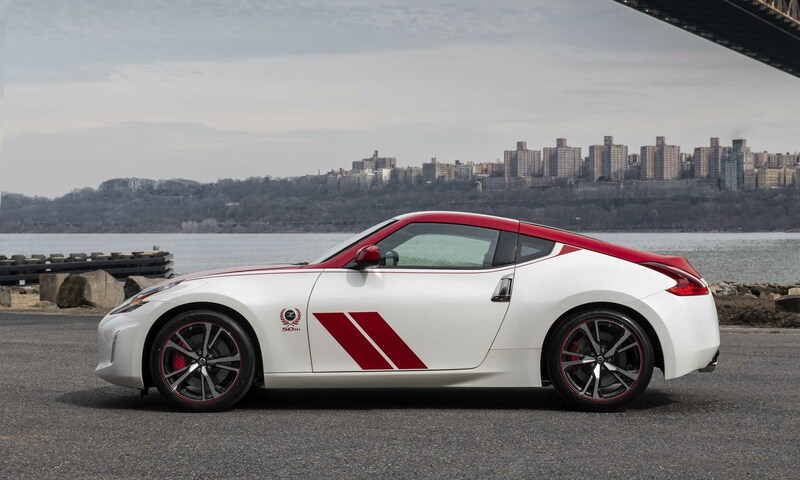 The two-tone exterior design is inspired by the #46 BRE (Brock Racing Enterprises) Datsun 240Z that won multiple SCCA National Championships, driven by John Morton. 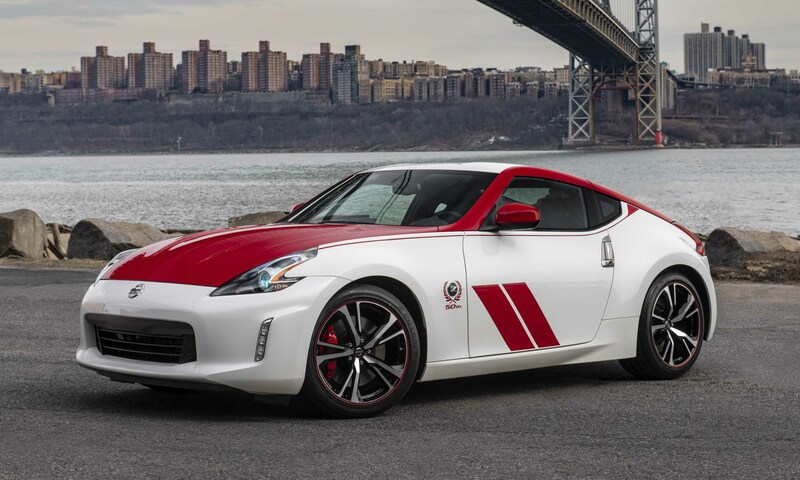 Based on the 2020 Nissan 370Z Sport, the 50th Anniversary Edition reimagines the original BRE livery with design cues such as two signature stripes on the side of the car, with the hood, A-pillars, side mirrors and decklid painted in the accent color. Two color combinations are offered: white with red accents and silver with black accents. A thin stripe runs down each side of the car from the headlight to the rear edge of the side glass, ending in a triangle said to be inspired by the C-pillar of the Datsun 240Z. 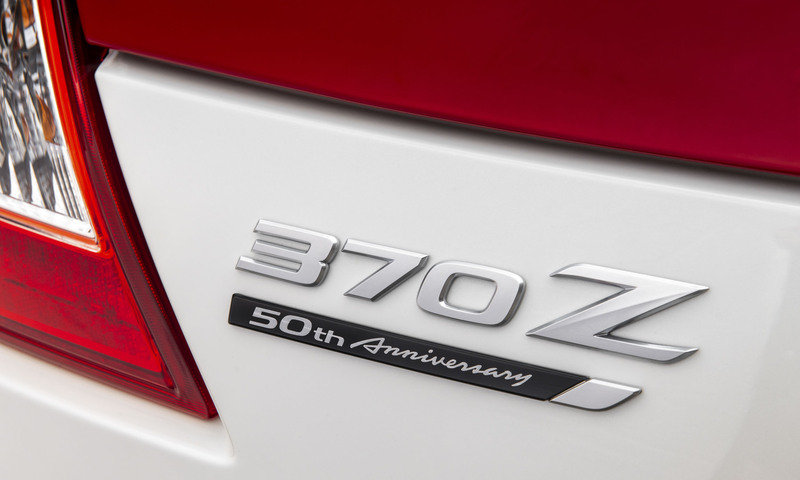 The 370Z 50th Anniversary also includes a 50th Anniversary badge under the rear 370Z badge, 50th Anniversary side decals around the Z logo, as well as red wheel accents and rear spoiler deletion. 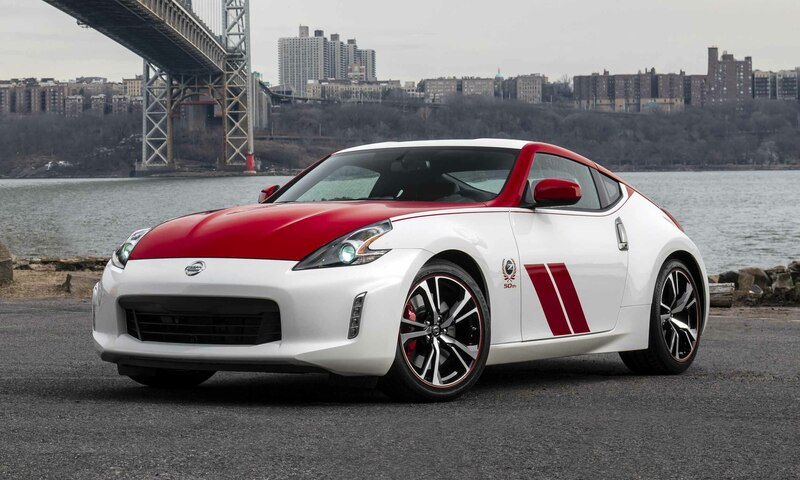 Inside, the 370Z 50th Anniversary Edition adds a 50th Anniversary Alcantara steering wheel with center stripe and heated 4-way power seats trimmed in leather and suede. 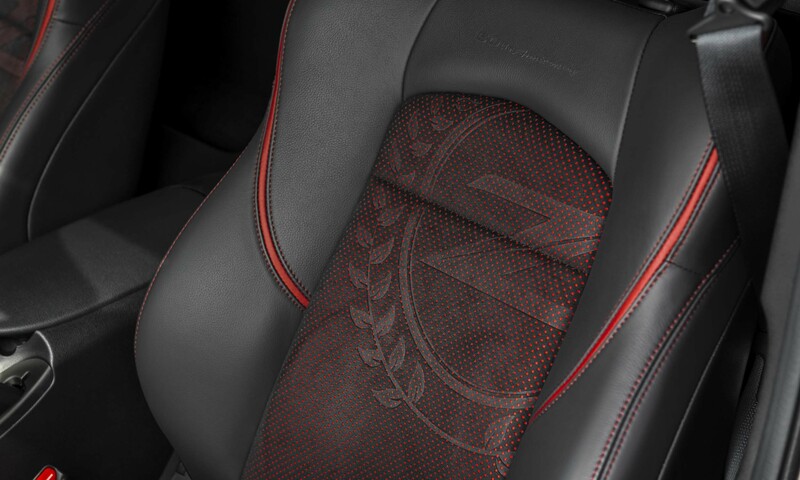 The interior is primarily black highlighted by red accents on the seats, red stitching, as well as an anniversary Z pattern on the seatbacks accompanied by an embossed 50th Anniversary logo. 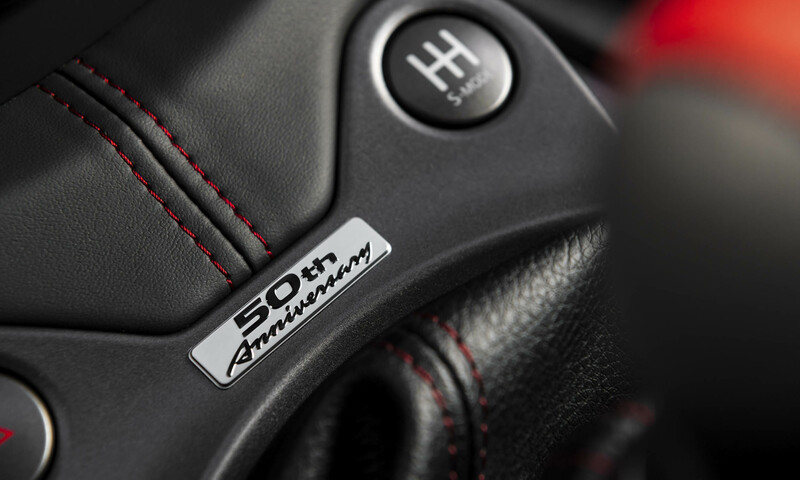 The tachometer and center console have 50th Anniversary badges, and the package also includes special floor mats and sill plates. 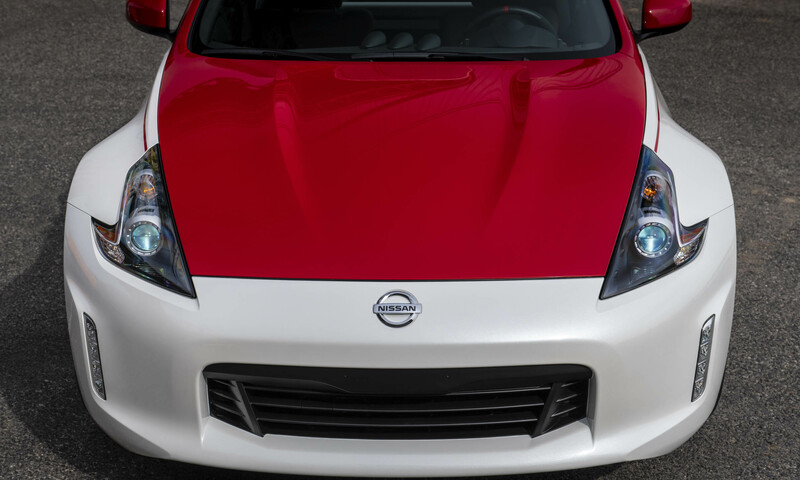 A Bose audio system with eight speakers, active noise cancellation and active sound enhancement is also standard on the 370Z 50th Anniversary. 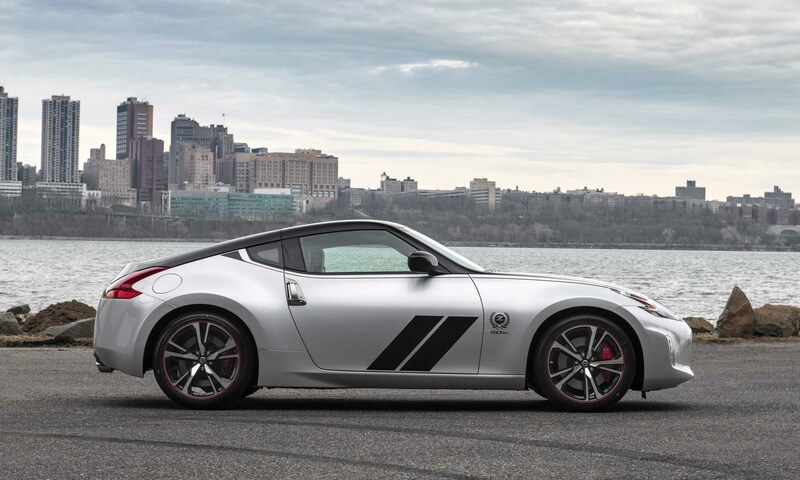 The 2020 Nissan 370Z is offered in base, Sport, Sport Touring and 370Z NISMO trim levels. 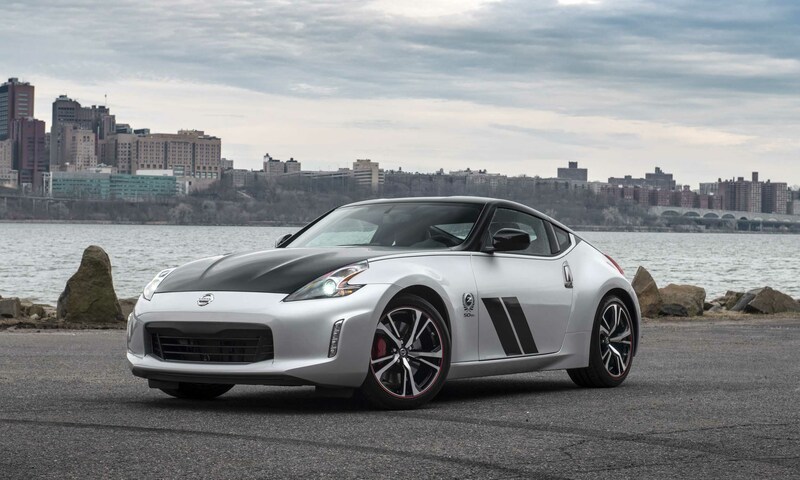 The 370Z 50th Anniversary is based on the 370Z Sport, powered by Nissan’s award-winning 3.7-liter V6 engine producing 332 horsepower and 270 lb-ft of torque, combined with a close-ratio 6-speed manual gearbox with a synchronized downshift rev-matching system called SynchroRev Match. A 7-speed automatic transmission with Downshift Rev Matching, paddle shifters and adaptive shift control is also offered. 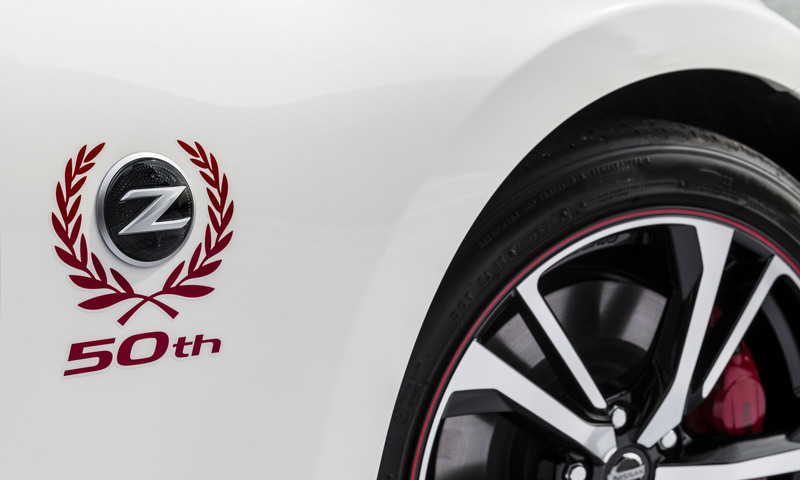 The 370Z 50th Anniversary’s double-wishbone front suspension uses aluminum components to reduce weight; the multilink rear suspension is stronger and lighter than the previous generation. 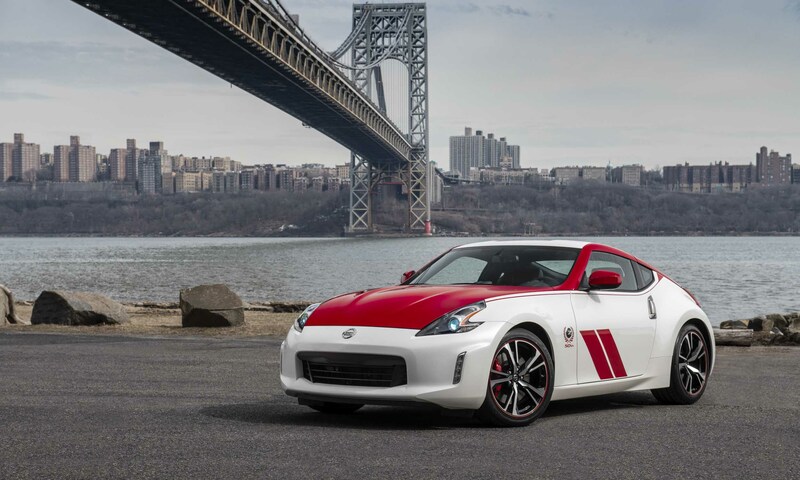 Performance equipment includes large brakes with 4-piston front calipers, a viscous limited-slip differential, high-grip Bridgestone Potenza S007 tires and 19-inch RAYS lightweight forged aluminum-alloy wheels. 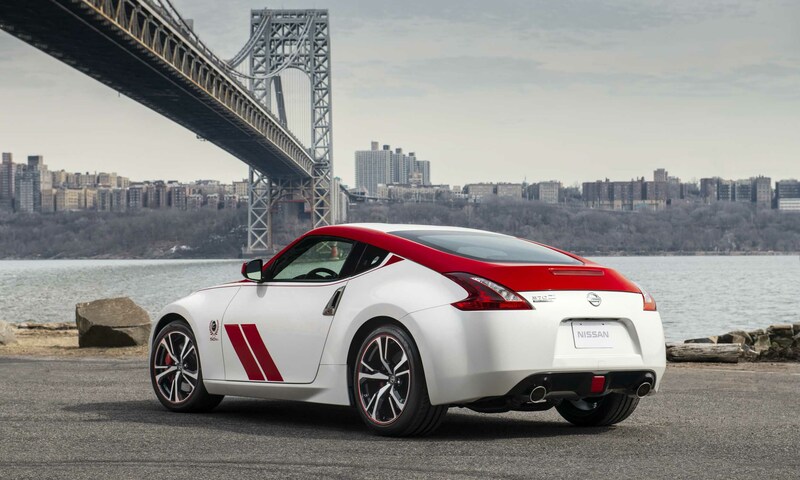 The post 2019 New York Auto Show: Nissan 370Z 50th Anniversary Edition appeared first on autoNXT.net.